Shortlisted for the Bord Gáis Energy Irish Book Awards Eason Book Club Novel of the Year Award and The Ryan Tubridy Show Listener's Choice Award for 2016. 'Martin Toppy is the son of a famous Traveller and the father of my unborn child. He's seventeen, I'm thirty-three. I was his teacher. I'd have killed myself by now if I was brave enough. I don't think it would hurt the baby. His little heart would stop with mine. He wouldn't feel himself leaving one world of darkness for another, his spirit untangling itself from me.' Melody Shee is alone and in trouble. Her husband doesn't take her news too well. She doesn't want to tell her father yet because he's a good man and this could break him. She's trying to stay in the moment, but the future is looming - larger by the day - while the past won't let her go. What she did to Breedie Flynn all those years ago still haunts her. It's a good thing that she meets Mary Crothery when she does. Mary is a young Traveller woman, and she knows more about Melody than she lets on. She might just save Melody's life. 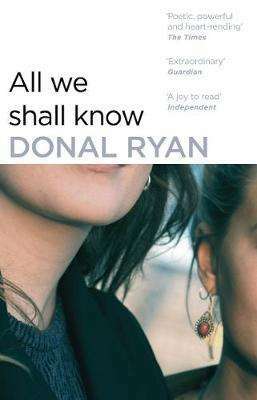 Donal Ryan's new novel is breathtaking, vivid, moving and redemptive.